Our gorgeous, spacious studio combined with our Wellness/Educational Center is the perfect setting to host your weekend or one-day retreat, health-focused workshop or event! Yoga/Meditation/Massage/Aromatherapy/Chakras/Reiki/Stress Relief/Life Coaching/Nutrition/Anything about Health & Wellness! Learn, play and relax all in the same space. Registrants love the ambience and the chance to use the healing Himalayan Salt Cave and other services on breaks and before or after their classes, or even as a segment of the event, itself. We are located along Rt. 80 just 1-1/2 hours from Chicago, Rockford, and Bloomington/Champaign areas - in the heart of Illinois. We are also 15 minutes or less from some beautiful places to stay: Starved Rock Lodge & State Park, Heritage Harbor, and Fox River Resort. Great restaurants and shopping are within walking distance - check out B.A.S.H., The Lone Buffalo, and The Pink Chihuahua for yummy food and drinks. Another great place to visit is August Hill Winery in nearby Utica, IL. On-site catering/delivery is also available here at SaltTreeYoga. Contact us to discuss arrangements for your next event! Groups for up to 12 using the Salt Cave can also use our studio space for up to two hours to gather for bring-your-own snacks and beverages (no full meals please). Rate is $30/person during regular business hours, and we will help you set up/tear down. Studio space and help is included in the salt cave price! Please call for rates during non-business hours. See more options on the Salt Cave page. Studio/Events Room Rental: $200/day includes yoga props if needed, tables, chairs, water, coffee & tea. Seats 30 people. Or, let us help coordinate and promote your workshop or seminar to our network of clients! Call for percentage-based shared profit arrangements. Be sure to scroll through the whole page - it's categorized into Health & Spiritual Development; Yoga & Movement Workshops; and Aromatherapy Education! This guided meditation will take place in the Salt Cave and includes a salt therapy treatment. We will be using Selenite Harmonizers during the hour in the Salt Cave. Selenite is a powerful cleansing and healing tool that has the ability to clear, protect and shield your energy body. It is one of the few minerals that has the healing ability to quickly unblock stagnant and negative energy, removing all energy blockages to create a fluid flow of energy throughout the body. Selenite crystals shield you from outside influences, since one of the Selenite healing properties is to evoke protection from the angelic realm. It helps to dispel all negative energy from the body and mind, bringing calming energies, deep peace and mental clarity. Please understand that all workshops are non-refundable! CLASS SIZE IS LIMITED TO THE FIRST 8 to register - click Register for Class button. Three more will be accepted by phone if you are okay with a restorative floor set-up with bolsters, but you must call us to register your space. Third Tuesday of every month in the Yoga Studio. All meditations are from 5:30-6:30 pm. Please register in advance online or by phone! We need a minimum of 5 registered by three days before to offer this meditation. COST: $10. Click below and scroll to the date of the class to find it on the calendar. Join Kate Brown, Certified Clinical Aromatherapist, for a one-hour relaxing, meditative journey that will include therapeutic salt therapy and the offering of an essential oil to enhance your experience. 8 reclining, zero-gravity chairs are available, and 4 spaces on the floor set up with bolsters and a blanket. This experience is non-refundable unless we can fill your space. Open to the first 8 people to register - Click Register for Class button. Autoimmune diseases, Adrenal Fatigue, ADHD, Autism, Alzheimer’s, CANCER, Chronic Fatigue Syndrome, Chronic Pain, Eczema/Psoriasis, Depression/Anxiety, Digestive disorders (IBS, Colitis, Leaky Gut, Crohn's), Fibromyalgia, MS, Rheumatoid Arthritis, Shingles, Thyroid disorders, Vertigo & Tinnitus, and EVEN Menopausal issues! Presentations are based on following the health recommendations of Anthony William. William is the author of several books that recommend methods we can all use to independently heal ourselves and our loved ones. PLUS: Organic Gardening and In Other Words, Can I Still Drink? Learn why traditional habits of eating by choosing 1) comfort foods, or 2) the food-as-fuel approach by eating foods solely based on their nutritional content, never truly satisfies us. Comfort foods seem to ease stress or unhappiness or cravings in the moment, but guilt often follows. Food-as-fuel takes all emotion out of eating. We are eating because we have to, but counting calories and reading labels becomes stressful. We might restrict food intake, shun snacks, or live off protein powders that often taste like dirt. There are many “diet” or “healthy food” programs out there. They promote some great ways to get healthier by telling us what not to eat, like gluten and dairy. Avoiding gluten, packaged products, and dairy can help anyone feel better and lose weight! But do these programs also tell us 1) what real, healing foods are, 2) specifically what to eat for any physical issues we are facing, and 3) why? Do you only want to lose weight, or do want to learn how to make the best choices you can to heal your body at the same time? The Medical Medium is committed to teaching us that eating more real, live foods are the best choice we can make. There IS a way to Eat to Heal physically, emotionally, and spiritually! To feel good about what you eat, to replace traditional comfort foods with better choices that you will still find comfort in, and to reduce or eliminate cravings. Other Topics: A Master Gardener will give us Organic Gardening Tips; and there will be a short discussion on whether or not to drink alcohol, and what the better choices are.Other Topics: A Master Gardener will give us Organic Gardening Tips; and there will be a short discussion on whether or not to drink alcohol, and what the better choices are. Diana Carlson, Certified Yoga Therapist & Director, SaltTreeYoga. FYI There is a meditation with essential oils in the Salt Cave with Kate Brown, Certified Clinical Aromatherapist & Educator at 1:00 following this class, so reserve now if you are interested! Join our experienced wellness practitioners as they share ways to live your life more fully, AND grow with a group of amazing women just like you, during a FULL DAY EVENT to nurture yourself! This is limited to 16 participants, so register through the link on this event soon. 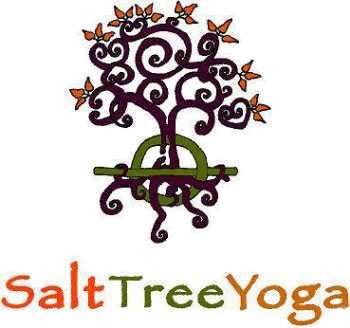 SaltTreeYoga's goal has always been to provide the latest natural healing methods and educational opportunities to help you guide your body back to a functional, balanced, and healthy state. This group gathering will focus on that, and ALL of that! Everyone will experience the following: Massage, Henna Art, Reiki or Healing Touch, Mandala creation, a session in the Migun Infrared massage bed, Himalayan salt & essential oils foot soak, make your own essential oil product, Psychic Reading, a Meditation in the Salt Cave, and shopping, of course! Enjoy mini-learning experiences about essential oils, healing stones, and healthy eating, plus a short restorative yoga session. Healthy lunch, beverages and snacks included! Your presenters are Pam Booras, Certified Traditional Naturopath of SomaPsychi Therapies; Kate Brown, Certified Clinical Aromatherapy Educator of Kate Brown Healing Essentials; Bonnie Potthoff, Psychic & Spiritual Counselor of SoulStarBliss; Dee Matel, LMT of Nurturing Wellness; Kelly Pandolfi, Aromatherapist; Diane Hagerstrom, LMT; Katie Kuykendall, Henna Designs by Katie; and Diana Carlson, Certified Yoga Therapist of SaltTreeYoga. This is the day before Mother's Day, so grab a friend, your Mom, your Daughter or Sister, and take a day for you! Make it an early Mother's Day gift! For all aromatherapy classes, please contact Jen Williamson at (815) 488-1582 for more information and to register! Classes are taught by Kate Brown. She is a Certified Clinical Aromatherapist and instructor. Kate found the power of essential oils over a decade ago. She is also a Certified Practitioner in Healing Touch for Animals, Certified Practitioner and Instructor and Healing Touch Spiritual Ministry and a certified yoga instructor. She has her own practice, Kate Brown Healing Essentials, in Utica, IL.